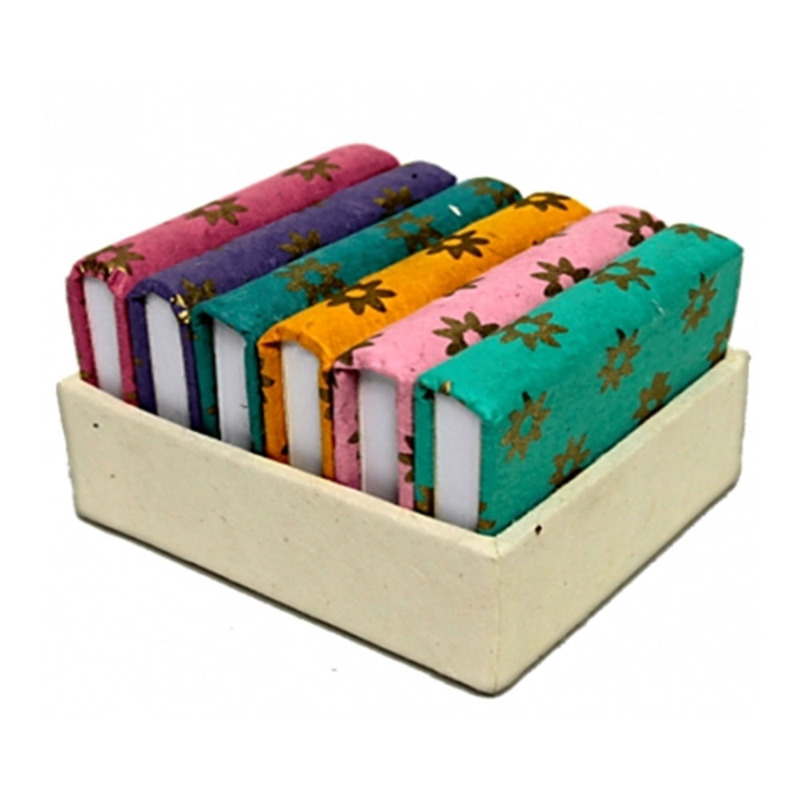 A set of 6 coloured notebooks in a wooden showcase. This gorgeous, unique, brightly coloured set of notebooks are certainly something you need to have. Each notebook is a different colour and has been decorated in a beautiful, evenly spread out gold flower design. All displayed beautifully in a handmade wooden showcase.